Visit the shop now to see amazing biker art merchandise for yourself or gifts for the enthusiast in your life. Be sure to check out the “Words” section for gear focused on the club member as well as our wide selection of fine art oriented works. -Paint: All body work professionally done by Dixie AD. I am selling my 2002 Ford Explorer Sport Trak: actually gets good gas milage! It is in great condition and I just added a leather interior! Power windows, mirrors, locks, tinted windows, tilt steering, etc… only 80,000 miles. $9,000 or will trade for cool Hot Rod/Rat Rod, old station wagon, or a VW Trike… get a hold of me with offers or for more info. Sin is a 2003 FXSTDI Deuce with all the trimmings. The Fairy Godmother dressed this girl up and she is ready for the ball! ArtBiker bought this bike new as a gift to himself for surviving his cancer treatment in 2001 and 2002. He took delivery of the bike as the models were introduced and had a Gold Key Package AND a Stage I and Stage II Screamin’ Eagle kit put in, bumping the engine up to 95 Cubic Inches before he even picked her up from the dealer. That combined with the new breather and high performance exhaust brings her HP and Torque levels up to numbers deserving some respect. She is the limited edition black and silver with 100th anniversary bags, seat, and windshield. Of course, the bags and windshield are quickly attached or detached for hitting the bars or heading to your favorite rally. ArtBiker has used this as his touring bike and it has seen Sturgis, Laconia, Myrtle Beach, Daytona, and more. 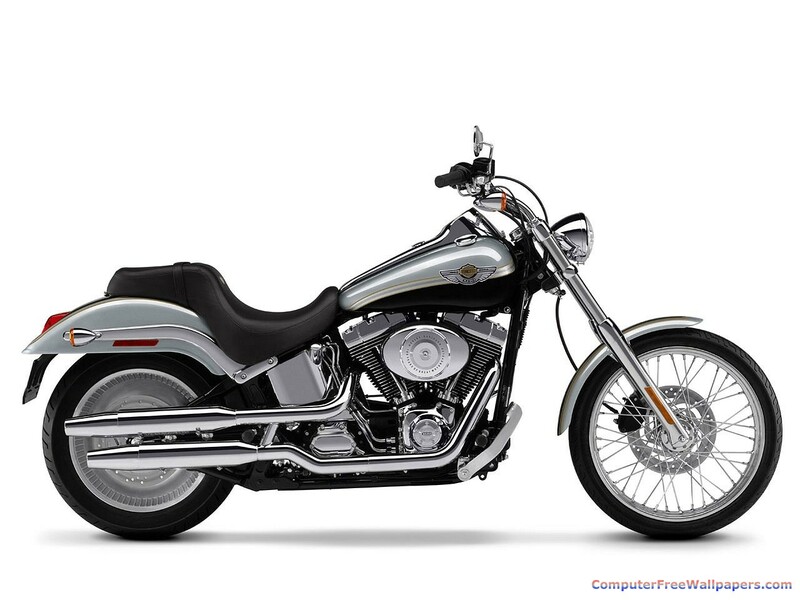 The bike is more than complete with a standard and touring saddle, two backrests (one tall and one short), a luggage rack, custom handlebars, grips, pegs, foot controls, shift linkage, and axle covers. The bike has been chromed out with a freshly dipped swing arm, rear wheel, and polished front and rear brake rotors and calipers. The bike has been meticulously maintained by the dealership and, for those that didn’t know, ArtBiker was a professional auto and bike detailer for years. So, it goes without saying that the finish of the bike looks like it was just rolled off the showroom floor. Over $30,000 has been invested in this bike and we are letting it go for $18,000. The Deuce was a limited production run from Harley and is no longer made. You can’t buy one new, and there is no way you will find a better 100th Anniversary specimen anywhere. 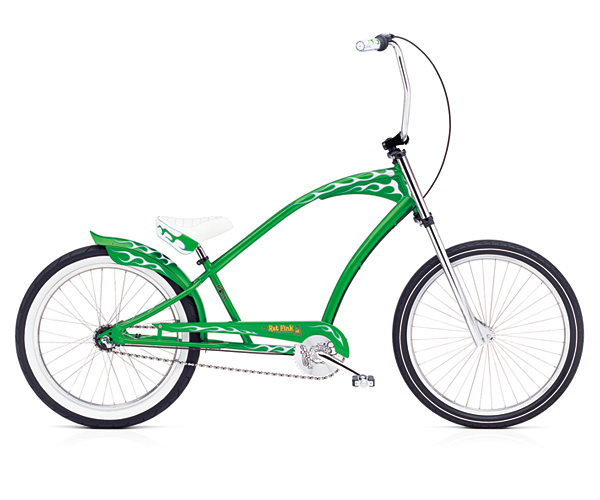 Here we have ArtBiker’s way cool Electra Rat Fink Chopper Bicycle. This bike was also a limited edition run and was the first in the series to honor Ed “Big Daddy” Roth. The bike is in brand new condition and has been a showpiece in the ArtBiker household since it was purchased. ArtBiker did take it to work a few times and has enjoyed it around the neighborhood. The ride is very, very comfortable and the gears are like butter. This is a finely tuned machine. It sold for $750 new and has gone up in value because it is such a collector’s item. We will let it go for $550, but it needs a good home!